What Does The Well Workplace Look Like? have released their "Well Workplace" report on the future of wellbeing in the workplace. The report considers the global phenomenon of the wellbeing industry. It asks what the occupational drivers are, what developers and investors need to consider to mitigate risk and it looks to the future of the "well" office. 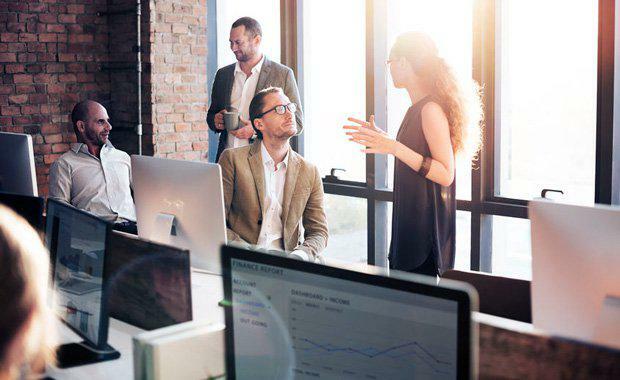 Cushman & Wakefield says, "The future workplace will look radically different as employers respond to a growing requirement for a work-health balance. The wellbeing industry is a worldwide global phenomenon, but corporates are only beginning to understand and interpret implications for the built environment. More than a "fad" this is a global socio-economic shift – rue the industry that is not moving to address it. "Technology has eroded work life boundaries, whilst also empowering employees to change the nature of the work contract. Employees will increasingly choose where they want to work and how they want to work. Technology will allow the relationship between ‘where we are’ and ‘how we are’ to be laid bare, and it will redefine how we determine the value of real estate. "Most of us work in what are essentially ‘unwell’ offices. Workplaces that are not ‘well’ impair employee performance and are at risk of heightened vacancy levels and loss of income potential. Mounting evidence all points in one direction: wellbeing in the workplace is fast becoming a strategic imperative." The report concludes that both investors and tenants will see returns on wellbeing investment through differentiation, value creation, and risk management. "Wellness in the workplace has emerged as a critical issue because it is simply too fundamental to be ignored. And the call to action for the real estate industry – and broader built environment – is loud and clear. The design and building of workplaces must change to meet a flexible future. Evidence points to the return on investment (ROI) available to investors and tenants from differentiation, value creation and risk management. We must now encourage the concept of a broader perspective focused on the total value of the investment and where a workplace culture of work-health balance is the norm. "It can be easy to get distracted by negative noise and spin. We cite disregard as one of the key risks. And so we end with our final call to action: ignore the critics who say the evidence isn’t scientific enough and look to impose a standard of evidence not required for other workplace investment. Bodies of evidence from all parts of the globe prove that well designed workplaces are critical for the health and wellbeing of society. The message to the real estate and built environment sector is clear: prioritise health and wellbeing by making spaces human again."